I know it's a Saturday, but this negative countdown makes me feel like I need to have a post a day until school starts (and then weekends won't count). 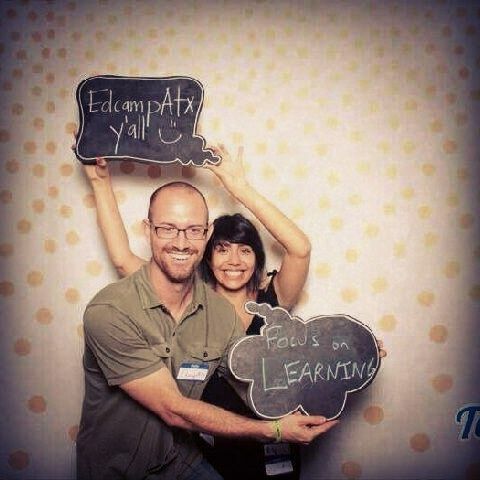 This is from an Edtech party photo booth. Stephanie Cerda (@Ms_Cerda) and I promoted EdcampATX while having some fun mingling with a group of tech people (and luckily several teachers were there too).